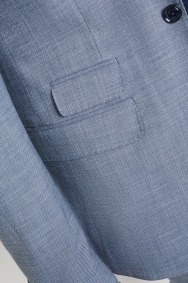 Contrast your casual with your smart. 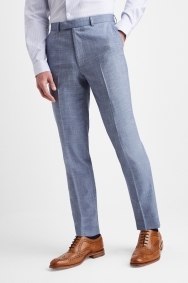 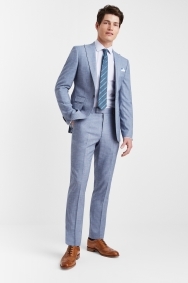 Made from a textured fabric with a denim look, this suit has a laidback edge. 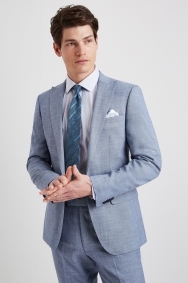 It’s contrasted with a sharp construction, thanks to the chiseling slim fit and peak lapels, ensuring you look the part for smarter events in your calendar. 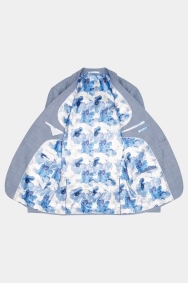 A bright contrasting lining adds an extra style dimension. 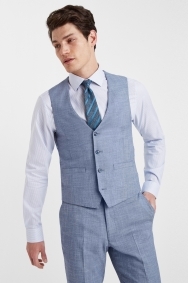 As a 3-piece, you can dress it up or down by choosing to either add or remove the waistcoat. 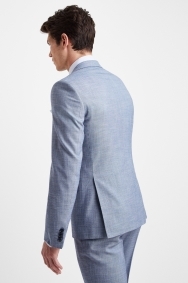 Wear it as the full 3-piece and team with a patterned shirt for a relaxed yet smart outfit. 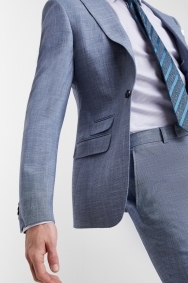 To dress it up for business, choose a white shirt and a knitted navy or silver tie.